(anon). The Sloan "CACO" Brake Cylinder Release Valve. Chicago. Sloan Valve Co. 1963. 32 pps. Octavo. Soft cover. First edition. Illustrated. Fine copy. (anon). The Sloan "CACO" Brake Cylinder Release Valve. Chicago. Sloan Valve Co. 1959. 32 pps. Octavo. Soft cover. First edition. Illustrated. Fine copy. (anon). The Track Cyclopedia. Photo available. Omaha. Simmons-Boardman. 1985. 459 pps. 4to. Gilt decorated hard cover. Tenth edition. Illustrated in black, white and color. Important reference work. Fine copy. (anon). The Train Collectors Quarterly. Volume 34, No. 2. Strasburg. Self published. April, 1988. 4to. Soft cover. First edition. Illustrated. Fine copy. (anon). The Train Collectors Quarterly. Volume 34, No. 4. Strasburg. Self published. July, 1988. 4to. Soft cover. First edition. Illustrated. Fine copy. (anon). The Train Collectors Quarterly. Volume 34, No. 5. Strasburg. Self published. October, 1988. 4to. Soft cover. First edition. Illustrated. Fine copy. (anon). The Train Collectors Quarterly. Volume 35, No. 1. Strasburg. Self published. January, 1989. 4to. Soft cover. First edition. Illustrated. Fine copy. (anon). The Train Collectors Quarterly. Volume 35, No. 2. Strasburg. Self published. April, 1989. 4to. Soft cover. First edition. Illustrated. Fine copy. (anon). The Train Collectors Quarterly. Volume 36, No. 2. Strasburg. Self published. April, 1990. 4to. Soft cover. First edition. Illustrated. Fine copy. (anon). The Train Collectors Quarterly. Volume 36, No. 4. Strasburg. Self published. July, 1990. 4to. Soft cover. First edition. Illustrated. Fine copy. (anon). 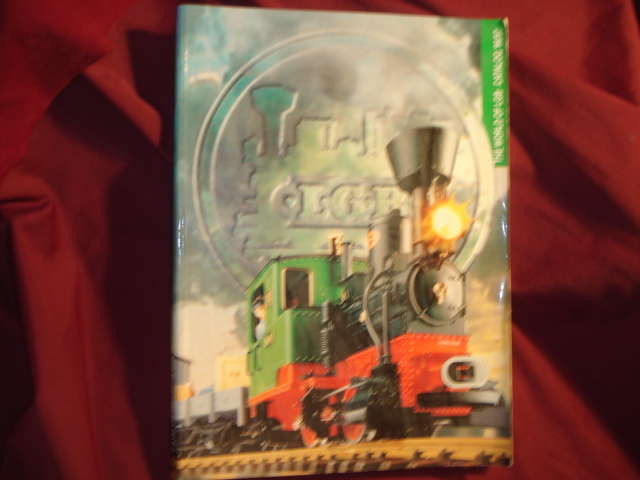 The Train Collectors Quarterly. Volume 37, No. 2. Strasburg. Self published. April, 1991. 4to. Soft cover. First edition. Illustrated. Fine copy. (anon). The Western Pacific Sacramento Northern and Tidewater Southern Railroad Companies. Safety Rules. np. Self published. 1975. Octavo. Soft cover. First edition. Illustrated. Near fine (very light soiling to cover). (anon). The Western Railroader. Vol. 26, No. 6. San Mateo. Western Railroader. 1963. 8 pps. Octavo. Soft cover. First edition. Illustrated. Fine copy. (anon). The World of L.G.B. (LGB). Catalog '96/97. Photo available. Lehmann. LGB. 1996. Folio. Soft cover. First edition. Illustrated in black, white and color. Near fine copy (very light shelf wear). (anon). Timetable Treasury. Schedules, Consists, Advertisements and Menus of Famous and Forgotten Trains in North America From the 1920s to 1970s. Photo available. New York. Wayner Pub. 1979. 169 pps. 4to. Soft cover. First edition. Illustrated. Important reference work. Fine copy. (anon). Train Journeys of the World. A Spectacular Voyage of Discovery Along 30 of the World's Most Exciting Rail Routes. New York. Barnes & Noble. 1993. 224 pps. 4to. Hardcover. First edition. Illustrated in color and black & white. Fine copy in fine dust jacket (in mylar). (anon). Train Shed Cyclopedia. No. 19. Buildings and Structures of American Railroads, 1893 (Part 3). Rohnert Park. Newton K. Gregg. c. 1970s. 4to. Soft cover. Illustrated. Fine copy. (anon). Train Shed Cyclopedia. No. 65. Passengers, Postals & Motor Cars (Part 4) from the 1925 Car Builders Cyclopedia. Rohnert Park. Newton K. Gregg. 1978. 4to. Hardcover. Reprint. Illustrated. Fine copy. (anon). Trains Around the World. London. Octopus. 1972. 162 pps. 4to. Hardcover. First edition. Illustrated in color and black & white. Fine copy in fine dust jacket (in mylar). (anon). Visalia Railroads. Vol. 24, No. 4. San Mateo. Western Railroader. April, 1961. 16 pps. Octavo. Soft cover. First edition. Illustrated. Fine copy. (anon). Week-End in the Sierra Pines. Western Pacific... Vol. 14, No. 7. San Mateo. Western Railroader. May, 1951. 8 pps. Octavo. Soft cover. First edition. Illustrated. Fine copy. (anon). West Coast Railroad Museum and Railfan Index. Vol. 23, No. 7. San Mateo. Western Railroader. July, 1960. 16 pps. Octavo. Soft cover. First edition. Illustrated. Fine copy. (anon). Western Railroader. Vol. 10, No. 5. San Mateo. Western Railroader. April, 1947. 8 pps. Octavo. Soft cover. First edition. Illustrated. Fine copy. (anon). Western Railroader. Vol. 23, No. 11. San Mateo. Western Railroader. November, 1960. 12 pps. Octavo. Soft cover. First edition. Illustrated. Fine copy. (anon). Western Railroader. Vol. 23, No. 2. San Mateo. Western Railroader. February, 1960. 16 pps. Octavo. Soft cover. First edition. Illustrated. Fine copy.